Lately, I’ve been thinking about the new year and all the things I’m excited to bring to my channel and all the other internet-like places How to be Fancy finds itself. This year, more than ever, I want to make sure that I really create space for those of you in my world who have come along on this journey with me (that sounds very official, hey?). By that, I mean I want everyone who somehow manages to click on a video or read a blog or social media post to feel like they have a safe space to explore their creativity right along-side me. This strange little road to figuring out who you are often begins with a “look” we’re trying to re-create or a style we want to get for ourselves. Or maybe we’re just looking for a few minutes of escape from a world that sometimes feels like a big bully – picking on every little thing we do or wear or say. Last week, I was so tired and experiencing panic attacks almost every night. Full of irrational fears and letting that little self-critical demon that lives on my shoulder get the best of me. On Thursday night, feeling pretty overwhelmed, I settled in to watch a TV movie based on Dolly Parton’s Coat of Many Colors. Although Dolly and I are vastly different people, I’ve always been so drawn to her. She seemed so kind – even when all I ever heard people talk about were her “girls” and how she wasn’t the best example of morality for a young lady. As a kid, I remember watching her on interviews where they would ask her the dumbest questions about her nails and weight and she would so gracefully address them, crack a few well-timed jokes and make everyone fall in love. All while doing her own thing pretty dang successfully. So, back to the moment where I am blissfully snuggled up watching Jennifer Nettles and a feisty little blonde (Alyvia Alyn Lind) portray the story of Dolly’s young life of loss, love, and humble beginnings in the hills of Tennessee. I’ll leave you to find the movie (or listen to the song), but as I watched, I was confronted with the heartbreak of what a culture of shame we live in. My heart broke for a little girl who was literally wearing love on her multi-colored sleeve – so excited about being an individual when she’d only known hand-me-downs – and suddenly she’s blindsided by a community that can only criticize the very things that make her unique. I think most of us can tell a story of being bullied – by another kid or maybe even by an adult. Of being told we were showing off when we were really just being ourselves. Of wearing the wrong thing, not knowing a pop-culture reference, or for just generally doing something another didn’t approve of. And what happens when we think (or even know) we’ve made a misstep? We let the shame pile on. We let it wash over us, we let it make us feel insignificant, we let it stop us from being vulnerable. Even worse, we make it a part of who we are – we allow it to become our identity. It darkens our brightest ideas and shatters our courage. That little five letter word (are we sure it’s not four?) creeps into our once-open heart and leaves it broken. So what happens when those outer words become our inner critic? We place limits on ourselves and begin to doubt our worth and purpose. We let it make our decisions for us. We can even let it decide how we’re supposed to look and act. We become critical of others – because what’s in us so often is what comes out of us. We can look for comfort in addictions, in self-harm, in isolation. Like little miss Dolly did in the movie (please promise me you’ll watch it), we have to learn to love and trust ourselves and find forgiveness. I want my little place on the internet to be a no-shame zone. A place where it’s okay to be a misfit. Because surrounding yourself with people who believe in you does wonders for a broken heart. I’m just doing my best to create a space where we can feel safe in our creative curiosity, because honestly, that’s what I could use most right now. So tell me, what makes you feel most like YOU? What things do you WISH you could do but are afraid of being laughed at? What makes you feel like a misfit? I’m here to listen, offer a shoulder and a big ol’ hug if you ever need it! We never had a Macy’s in my town growing up, so whenever we hit “the city” (a.k.a. Ft. Worth) I always had lofty dreams of ooh-ing and ahh-ing over the big, shiny department store. I mean, these were the people with the parade, y’all. Fast forward to modern times, where we have this glorious thing called internet shopping. And you can have the same magnificent shopping experience while wrapped in a blanket scarf, sipping tea. Plus, there are coupon codes. God bless coupon codes. 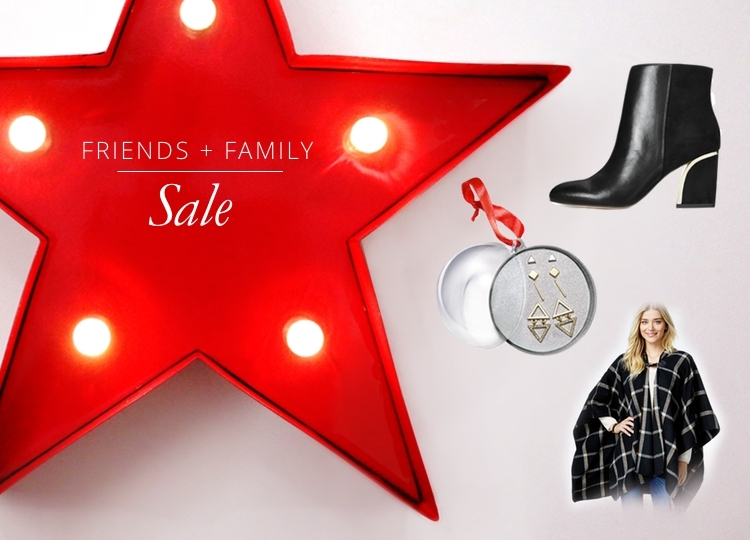 I’ve got a few picks for the Macy’s Friends and Family sale this year – but don’t let me limit you. I spent HOURS last night making a list (which may or may not include an adorable plaid COACH bag. I admittedly have a problem). 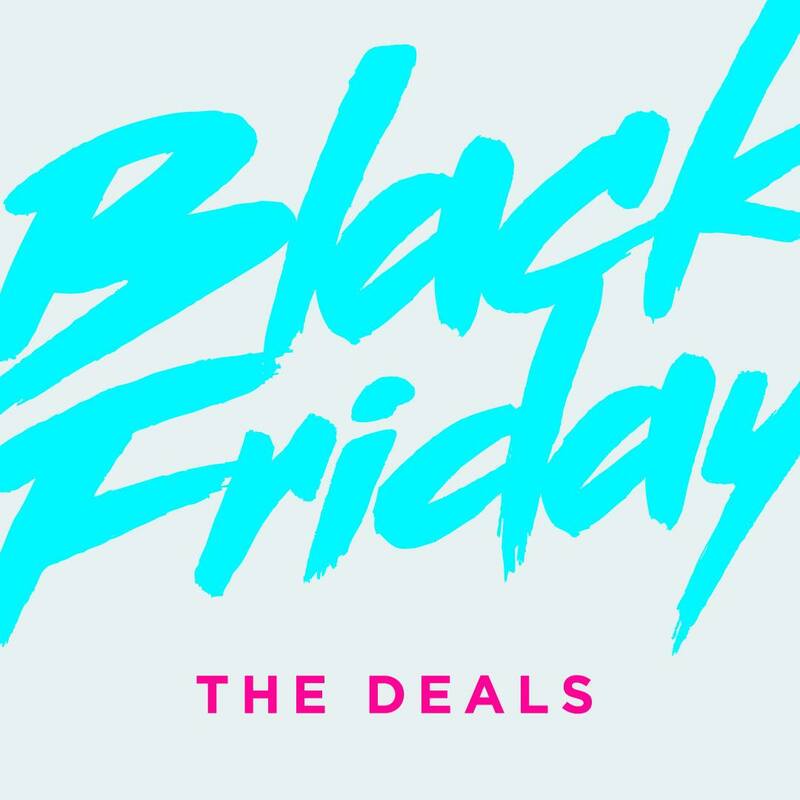 If you get sucked into the shopping vortex like me, don’t forget to use the code ‘FRIEND’ to get an extra 25% off your order through December 10th, 2015. Ah, my favorite time of year. When I can stockpile books like an acorn-hoarding squirrel. While I love a good paperback, the convenience of having my library on my phone (I use the Kindle app) gets the best of me more often than not. This glorious Cyber Monday, some of the best books I’ve read (and want to read) are available on Amazon for a pretty good deal, so I wanted to share with any other book lovers out there! If you’re an Audible member, they’ve got a TON of books on sale over there as well! Orphan Train. It’s heartbreaking, but this is such a beautiful story about a time in American History that I had never really thought about. Easily my top pick of the list. The Royal We. Okay, it’s not exactly on the cyber monday list, but 1) It’s a fun read – especially if you’re into Will and Kate; 2) It’s still cheap ($3.99); 3) It was written by fellow blog mavens, The Fug Girls. Go Set a Watchman. I’m on the fence on this one. I’ve refused to read it, but the reviews on this Harper Lee “find” have me SO DARN INTRIGUED. Have you read it?? What are your thoughts? The Sparks Saga. I just read book one last month and it is such a great story! If you’re into fantasy/sci fiction, you may love this. Also, the first book is free, so it’s a no-brainer! A Desperate Fortune. If you’re into Diana Gabaldon’s Outlanders Series, you’ll love Susanna Kearsley. Me and Earl and the Dying Girl. I’ve been eyeing this one for a long time – perfect timing, Cyber Monday! The Nightingale. Another one that looks like a great read. I have a love/hate relationship with wwII stories, but I am always so drawn to them! 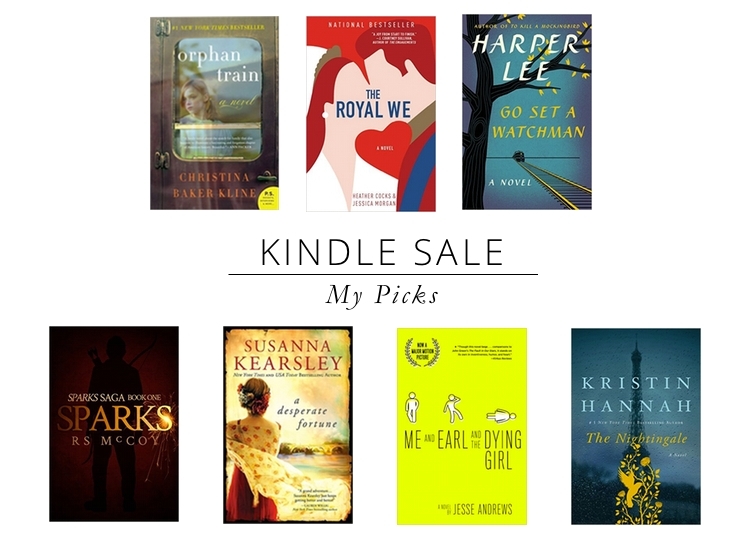 What were your favorite fiction finds this year? Would you like me to do a book list on Non-Fiction, too (I know I’m not a book blogger, but I read like a madwoman). If you’ve been around a bit, you may know the boy and I have a post-thanksgiving tradition of hitting the black friday sales. Not so much to get the door busters, but because we think it’s fun to go shopping at 2am. Seriously. We’re just that weird. I do have a few online places I’ve got my eye on for after the tryptophan wears off, so I thought I’d share the wealth. Zenni Optical. Buy 2 Get 1 Free! Code B2G1. Limited time offer, ends 12/2/15. Arctic Fox (because, HAIR COLOR NEEDS). 25% off everything. Asos. Get 30% Off Everything! Use Promo Code BLESSED. Valid 11/26-12/1. Berry Brand Jewelry. 50% off Entire Site – eeek! Gypsy Warrior. 30% off everything. The thing I love most about these? You can shop all of them from the comfort of your own couch. So, put on your favorite onesie and have fun! Let me know if you get something awesome!! Also, check for me on Snapchat (@howtobefancy), to see our Black Friday shenanigans! BONUS SHOPPING TIP: I always use ebates when I’m shopping online – that extra percentage really adds up over time (Like around $200 per year). I love doing a Christmas giveaway each year! This year is extra special because I’ve teamed up with some incredible creators to bring you the best giveaway yet! 3. Complete the entry form above (IMPORTANT: this will serve as your official entry). – Spam or Giveaway only accounts will NOT be counted! *THANKS SO MUCH TO THE AMAZING BRANDS WHO CONTRIBUTED TO MAKE THIS GIVEAWAY AWESOME!! Today’s gift guide is all about the girl who loves collecting tiny, sparkly bits and baubles. 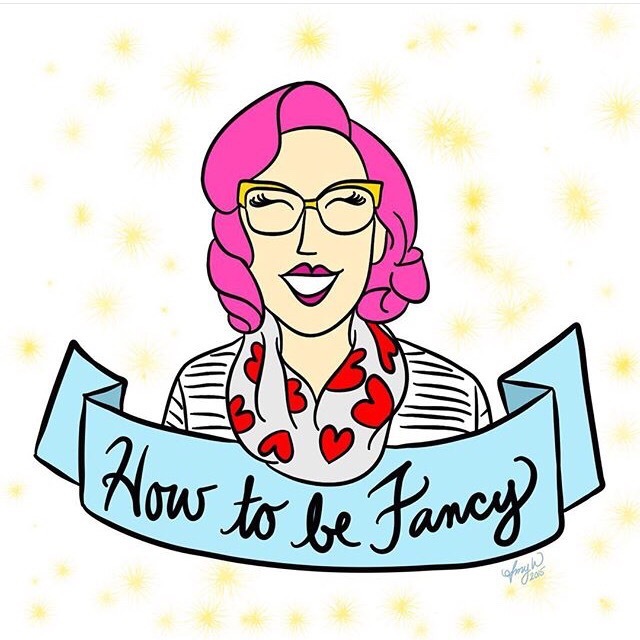 Use code Howtobefancyxoxo for 1/2 off your first month! Ellen and Margaret are having a Good Karma Sale Thanksgiving weekend – check their site next week to grab the 50% OFF code! So, what exactly IS a Content Creator? Is there a girl in your world who can’t get enough of social media? Always posting selfies? Quotes of the Day? She’s a Content Creator and this is the gift guide for her! I fall unashamedly into this category of nerdy/quirky girl so I HAD to create a gift guide just for Geeks! These are just a few of the things that make my nerd alert go off! There are always a million items on a beauty lover’s wish list, but I’ve rounded up a few she may not have thought of! 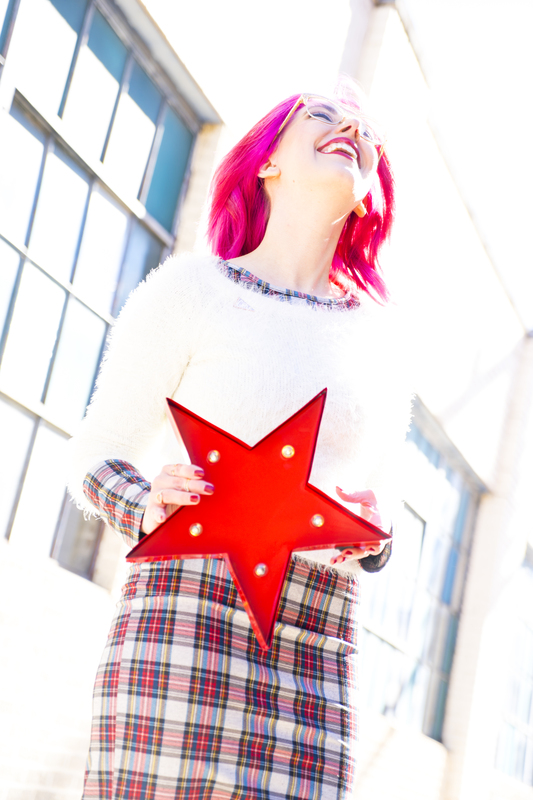 Today is the first of a week long tradition at How To be Fancy – IT’S GIFT GUIDE WEEK!! I’m kicking things off with a list of amazing things perfect for the freelancer, the makers, the virtual CEO, the shop owner, and any other Girlboss who runs her own show!